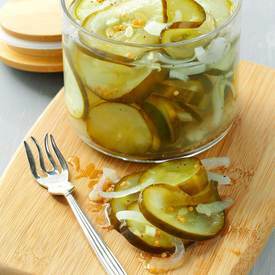 You can enjoy a small batch of these sweet crunchy pickles anytime without the work of traditional canning methods. They're loaded with flavor and so easy to make! !